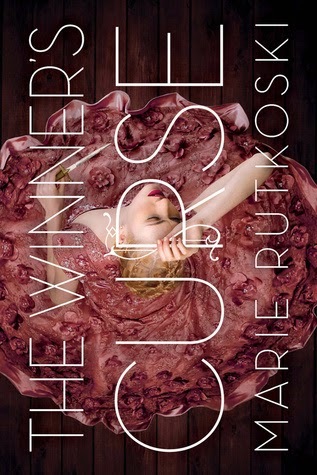 Review: The Winner’s Curse by Marie Rutkoski is the first book in the Winner’s Trilogy which is set in an empire that revels in war. Life in the empire is ruled by the Valorians who are known explicitly for their combat skills and strategy. This is because the Valorians defeated the Herrani in war, ultimately enslaving the Herrani people. Where the Valorians are known for their strategy and battle skills, the Herrani are known for their value of the arts, primarily singing and music. While the Herrani hold the arts in high esteem, to the Valorian these are useless skills. The only time that the Valorians can be heard singing is when they have been victorious in battle. Kestrel is the protagonist in the Winner’s Trilogy and is also General Trajan’s daughter. As a young Valorian woman Kestrel is faced with two options: she can enlist in the Valorian military or she can marry. Neither of these are options that she even wants to consider. Kestrel’s life is drastically changed while she is in the market and along with her best friend Jess she inadvertently approaches a slave auction. This is not somewhere that she would venture but despite that she stays, and on pure instinct she buys Arin. He is a young slave who is up for auction and there is something about his defiant demeanor, something about the look in his eyes. I truly adored Arin’s character. There was so much depth to him, so much to love about him. He was completely flawed and I loved that. Kestrel is independent, intelligent, and strategic. There were a lot of things that I admired in her as a protagonist and as a woman in this war-loving society. She wasn’t my favorite character, but I could feel myself relating to her and feeling empathy for her, especially in the later portion of the book. Marie Rutkoski seamlessly introduces the reader to her fantasy world. For me, it was the perfect amount of background and history with slowly and believable building action. Many readers thought the beginning was paced too slowly, or the end was too rushed. To me, it was perfect. As you are led into the arc of the action and plot the story does speed up drastically. I was left speechless on more than one occasion with the turn of events. I admit, part of the reason that I bought this book had to do with the synopsis and the possibility of a forbidden love affair. The novel was nothing like I envisioned...it was so much more. And the ending absolutely left me starving for the second book in the trilogy. Great review, I can't wait to read this book, it has been on my wish list for ages! Did you know you can shorten your links with BCVC and make cash for every click on your shortened urls.